Two well-known musicians were involved in marijuana cases. In San Francisco, Gene Krupa was charged with sending a 17-year-old hotel valet to his room for marijuana cigarettes. 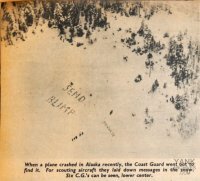 And the FBI announced that Pvt. 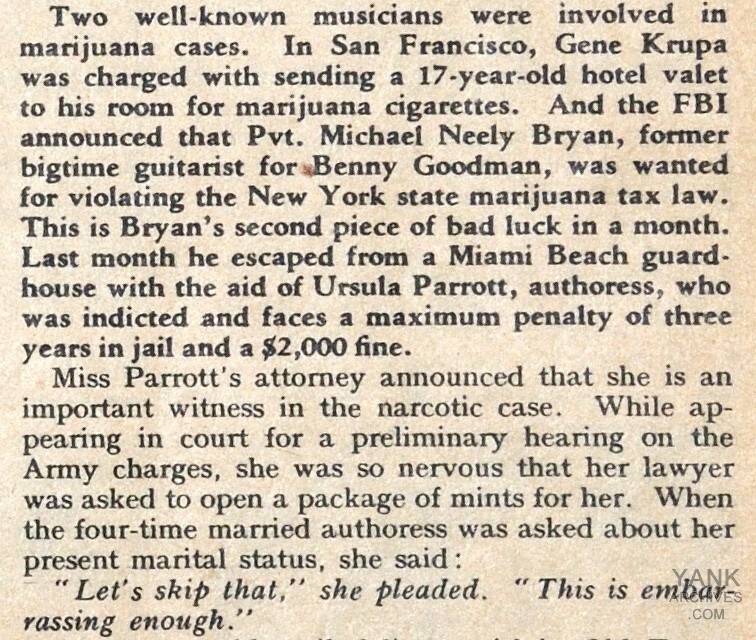 Michael Neely Bryan, former bigtime guitarist for Benny Goodman, was wanted for violating the New York state marijuana tax law. This is Bryan's second piece of bad luck in a month. Last month he escaped from a Miami Beach guard-house with the aid of Ursula Parrott, authoress, who was indicted and faces a maximum penalty of three years in jail and a $2,000 fine. According to other sources, Pvt. Bryan was accused of being involved in running a "reefer flat" in New York. Apparently this is something like a crack house for cannabis. Ursula Parrott was a very successful romance writer. Several of her books were made into movies. She helped Pvt. Bryan escape from the stockade in Miami where he was being held for going AWOL. I guess she thought she was saving Private Bryan.